The number of appointments and the amount of time required for each appointment is different for each patient. No two cases are exactly the same and regardless of the number of teeth replaced, the work must be completed with great precision and attention to detail.It is most beneficial that you keep all of your scheduled appointments. As with natural teeth, it is important that you clean implant-supported restorations regularly with a toothbrush, floss and any other recommended aids. You should also visit your dentist several times each year for hygiene and maintenance. 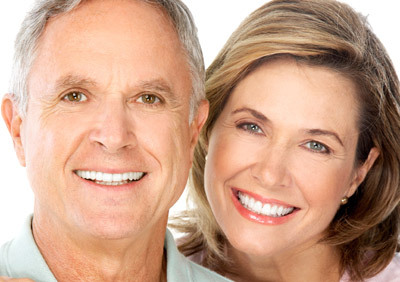 As with regular dentures and other tooth replacements, your implants and their associated components are subject to wear and tear and eventually will need repair, including clip replacement, relines, screw tightening, and other adjustments. When different doctors are involved in your treatment, you will be charged separately for their services. We will try to assist you in estimating what your actual payment will be after we evaluate your insurance coverage or other third party payments. Also, you should consider your personal financial investment in each treatment option as some insurance companies provide limited or no coverage. Each patient is unique, and it is not possible for us to discuss every option and every contingency for treatment outcome. This website is intended to be an educational tool to help you understand the general treatment options available to you. If your specific treatment options are not clear, please contact us. We will be happy to answer any questions you have about your dental care.